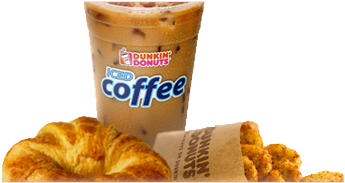 Franchise Management Services Inc, a Franchisee of Dunkin' Brands, Inc.
From the beach to the bay and beyond! Franchise Management Services Inc is the sole owner of the information collected on this site. We will not sell or rent this information to others. When you visit and navigate our site and when you communicate with us via our site, we will not collect personal information about you, unless you provide us that information voluntarily. In some cases we may disclose information to our contractors or agents for the purpose of enabling them to perform certain functions for us. We will also disclose information in compliance with applicable laws and regulations. By "personal information", we mean data that is unique to an individual, such as a name, address, social security number, telephone number etc. From time to time, we may request personal information from you at our sites in order to deliver requested materials to you, respond to your questions, or deliver a product or service. This website takes every precaution to protect our users' information. When you submit sensitive information via the website, your information is protected both online and off-line. Sensitive information (such as a credit card number and/or Social Security number) is encrypted with Secure Socket Layer (SSL) encryption software. While on a secure page, the lock icon at the bottom or top of your Web browser becomes locked. While we use SSL encryption to protect sensitive information online, we also do everything in our power to protect user-information off-line. Should you have other questions or concerns about these privacy policies, please call us at 410-520-0199 or send us an email at info@delmarvadd.com. Copyright © 2012 - Franchise Management Services Inc All rights reserved.